Currently, among the list of requirements to become a stand-alone ER, facilities must sit in communities of 50,000 people or less. That boxes out any major metro area, including Chicago, home to 18 percent of hospitals in Illinois in 2016, the most recent state data shows. State lawmakers, public officials and lobbyists are still negotiating aspects of the bill. But converting hospitals is a political quagmire. Medical centers are often the biggest source of jobs in their communities, and patients and doctors alike worry about access to care. Jose Sanchez is CEO of Norwegian American Hospital, known as a safety net for its Humboldt Park neighborhood because the medical center treats a large number of low-income patients. He doesn't plan to convert his 195-bed hospital into an ER. If anything, he would open a stand-alone ER to provide more services for patients. The bottom line: Transforming a hospital is a tough sell. "Safety nets are located in very impoverished, poor communities," Sanchez said. "You find that the worst health disparities exist where these hospitals are located." Think high rates of cancer, diabetes and heart disease. There's also this: Compared to a typical ER inside a hospital, free-standing ERs aren't as cheap as patients might think. But downgrading to an emergency center could also help right-size a market with a glut of empty hospital beds as insurers pressure doctors and hospitals to treat patients in cheaper settings. That's usually the doctor's office or an outpatient surgery center. "Historically, Illinois Medicaid has essentially incentivized underused hospitals to stay open," said Elyse Forkosh Cutler, president of Chicago-based health care consultancy Sage Health Strategy. "Now we are actually providing them funding to transition to another use." If hospitals use it, she added. The question of whether hospitals should right-size has been reignited as state officials work to modernize the outdated hospital assessment program. Safety-net CEOs, in particular, worry about losing money in the revamped initiative. The assessment program helps Illinois generate $3.5 billion for the state Medicaid program by taking dollars that hospitals contribute via a tax to the federal government to match. The tab represents about 16 percent of the budget for the Illinois Department of Healthcare & Family Services, which runs Medicaid. 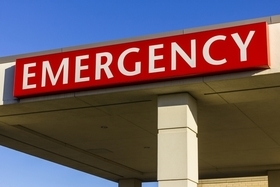 As part of the new assessment program, free-standing ERs wouldn't be limited by population restrictions, and they could bypass the facilities board. Instead, a state committee that oversees the pool of money to help hospitals convert would approve ERs, then the state Healthcare & Family Services Department would sign off. "Convert hospitals into ERs? Proposal would make it easier." originally appeared in Crain's Chicago Business.